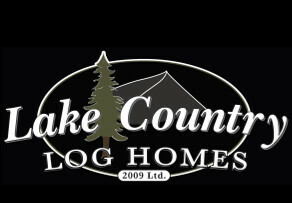 Our log homes are built using exceptional joinery and products that ensure your beautiful home will hold heat. Below are discussed 2 products that we use in the notches and laterals of each log: P-Gasket and Mineral Wool. We will also discuss an optional product we can use in combination with P-Gasket: Sheeps’ Wool. 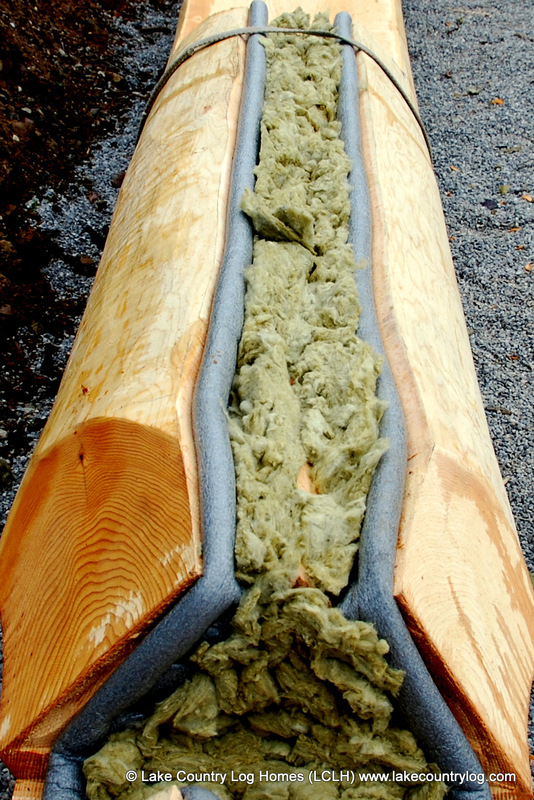 P-Gasket and Mineral Wool Insulation are used in the notches and laterals of your log home to prevent heat loss. Also available is Sheeps’ Wool Insulation. P-Gasket prevents heat loss through the notches and laterals of your log home. Its’ innovative design incorporates a closed cell skin and an open cell interior structure. The closed cell skin gives a waterproof quality, meaning it can be installed in any weather without it wicking moisture. The open cell interior structure makes it highly compressible and allows for a tight seal. Finally, it is made of an environmentally friendly material that is light weight and doesn’t off gas. Mineral wool is fire proof, absorbs sound and does not absorb moisture. It’s insulating properties are better than standard fiberglass insulation. In the photo to the left you can see how mineral wool is used in combination with P-Gasket in the notches and laterals of a log home. Sheeps’ Wool Insulation is naturally biodegradable, fire resistant, and has the ability to neutralize foul smells and harmful substances. Like mineral wool, it is also superior to fiberglass in terms of insulating properties. Furthermore, it is hypo allergenic and does not cause itchy skin when handled.